Churros Olé! - Owning a Churros Olé! Franchise. Want to be your own boss, work in a relaxed, fun and flexible environment? Want a job that gives you a great lifestyle as well as a great income? Read on, Churros Olé! could be just what you need. Churros Olé! mobile franchises (shop franchises available by negotiation) are designed to give you a great income with a fun flexible lifestyle. 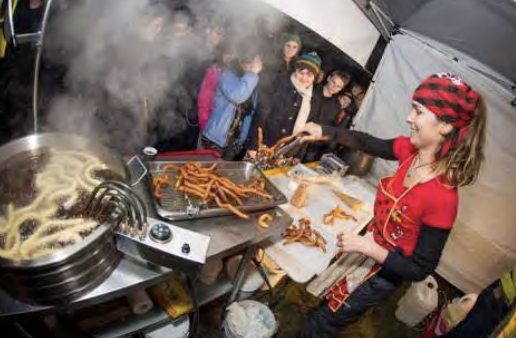 You can expect your Mobile Churros Kitchen to take you to some of the best events, concerts, festivals and sports games in your region, and what's more: you are going to get paid to go and have fun! We love life, and we want you to love life too! That’s why we are offering you this great opportunity! Of course, there is hard work involved and you need to be prepared to deal with that, but our moto is 'work hard, play hard, and have fun doing it!' We will be here to help you achieve that. Check out some of the photos below of similar gigs you might get to do. Amazing. Every time I see the cart I can't walk past it. Love 'em. There aren't enough stars to rate Churros Ole... Yummy yummy Churros and FANTASTIC people. Love the new trailer. Loyal and forever customer here. These are the best churros I've ever had, and I've had churros in Spain. Also the people are great. Could this be your ideal business? What if we told you we’ve come up with a better way to get into a business you’ll love? Making it possible to earn six figures working as little as 20 – 30 hours a week. 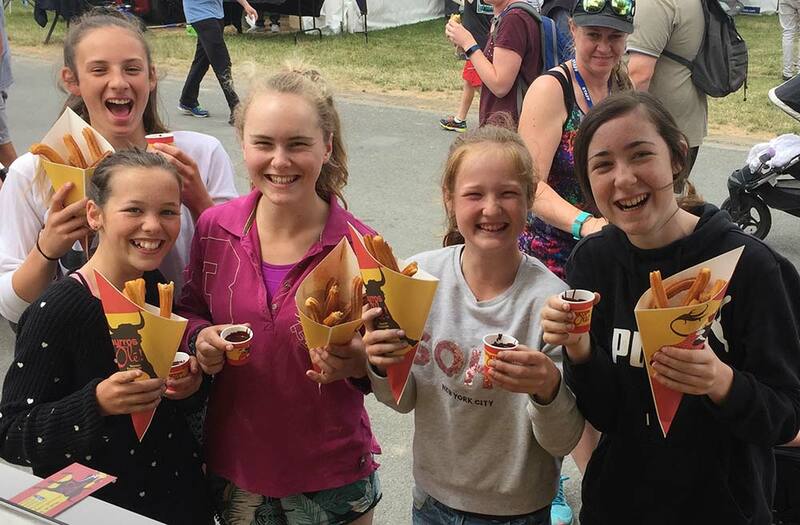 Maximising your profits by making New Zealand’s best churros yourself, to order, using our exclusive secret recipes. Enjoying the fun and flexibility of a mobile business and the advantages of a business model proven over 5 years. 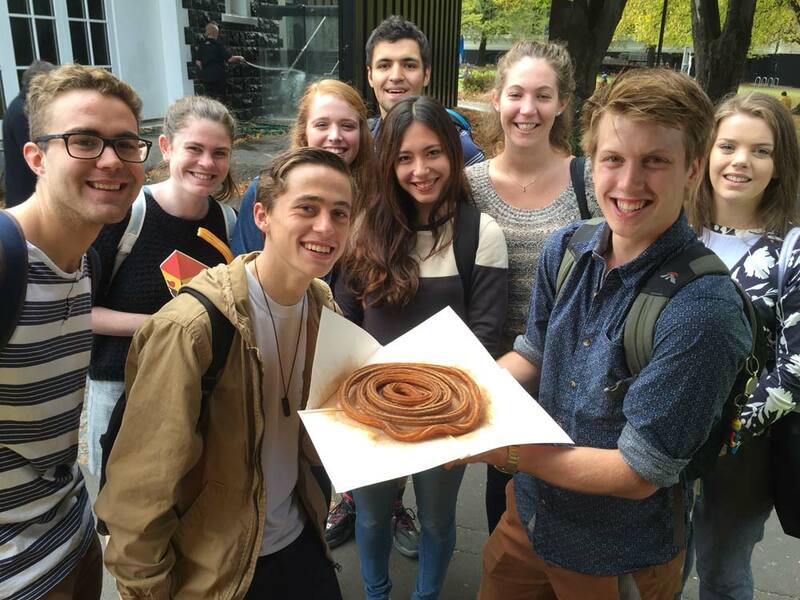 Interested in owning your own Churros Olé! franchise? Is this the most fun you can have in business? We think so. 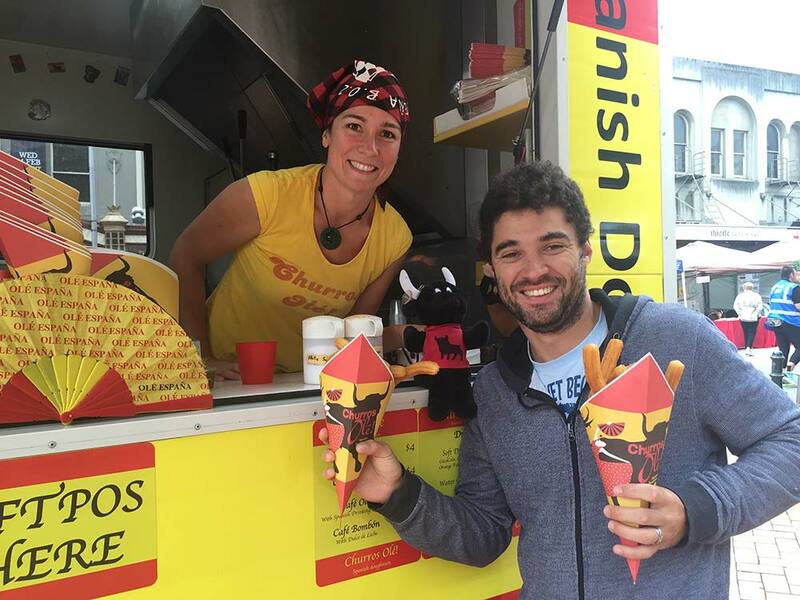 My partner Matt, pictured at the top of the page, and I (Irene, pictured at right) started Churros Olé! five years ago with the dream of starting our own business. Why churros? They’re a tradition in Spain, where I come from, and for generations, my family has been passing down a secret recipe for the best churros you’ve ever tasted. Now it’s time to share the secret with you and the people of New Zealand. Although I am a marine biologist by profession, I love working with people at Churros Olé! No business experience? No worries. One of the advantages of a Churros Olé! franchise is that you don’t have to have any experience in either the food service industry or running your own business. Another advantage is that you don’t have to learn from your mistakes as we did during our first years in business. The reason is that we’ve thoroughly developed and proven the Churros Olé! business model and systems, and we’ll provide you with all the training and support you need to be successful right from the start! You can expect your Churros Olé! Mobile Kitchen to take you to some of the best events, concerts, festivals and sports games in your region, and what’s more, you’ll make money by going and having fun! One of the keys to success with a mobile business is to know where to find the right gigs – and that’s where our experience and knowledge will prove invaluable. We can help you with Council by-laws and consents, choosing the right locations, and securing location rights and casual leasing contracts. 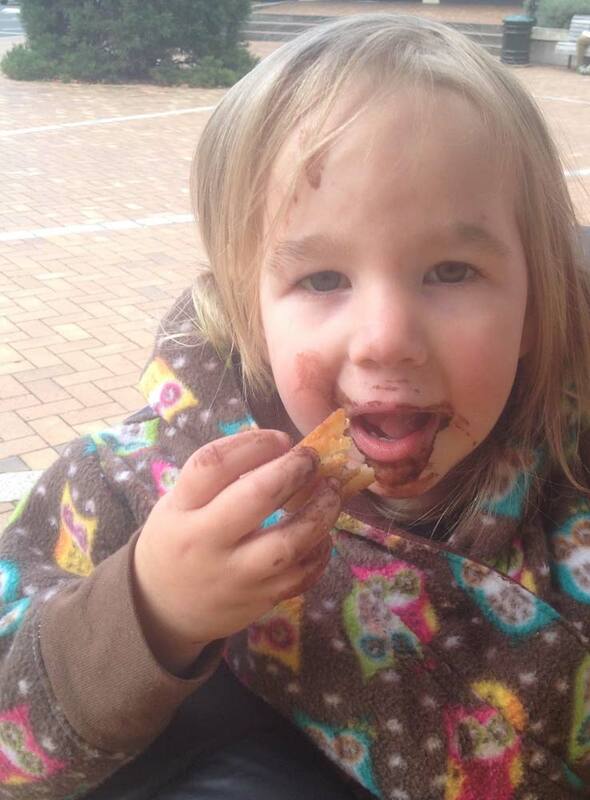 As you can see, watching Irene make churros is almost as much fun as eating them! The Churros Olé! Mobile Kitchen has been custom designed by us to meet the specialised needs of our business. That’s why we’ll provide you with your own purpose-built Mobile Kitchen as part of your Churros Olé! Business Start Up Package. The Package has everything you need to get started in your own Churros Olé! business with a minimum of fuss, risk and time. Franchising is the world's most successful business concept because it gives you the incredible opportunity to be in business for yourself, but not by yourself. 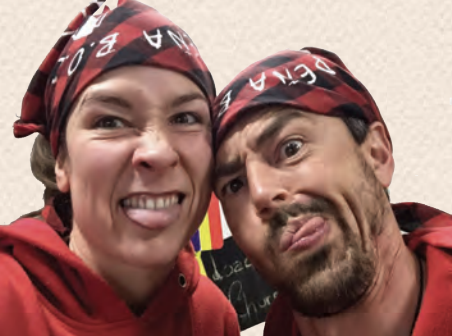 We selected franchising as the best way to expand our business because it gives people like us the opportunity to share in our success and become part of a supportive "family". You don’t have to be nuts to be a Churros Olé! Franchise Owner – but it helps! Churros Olé! 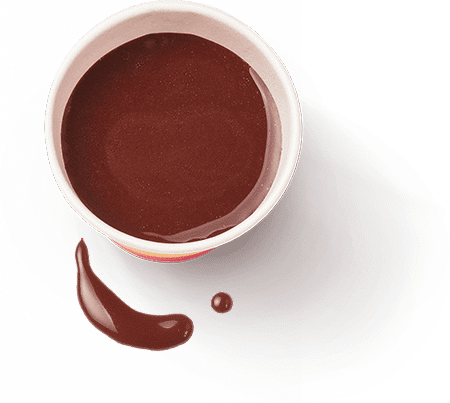 Franchises are currently available throughout New Zealand – but as there is only limited availability in each region, we suggest that you act now to avoid missing out. Especially as our initial special offer of the whole Churros Olé! Business Start Up Package for under $100K expires on 31 February 2018. There are only 2 opportunities available at this price, so act soon to secure your business. 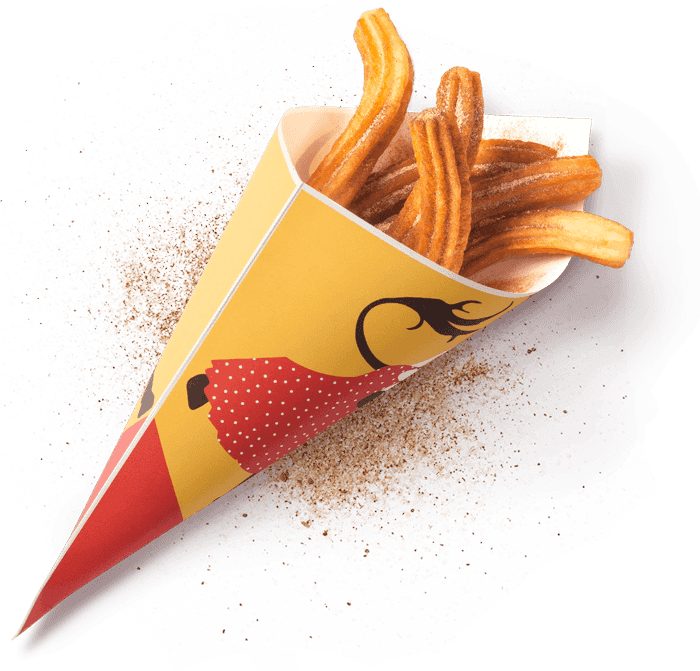 Contact us below to receive your no-obligation Churros Olé! Franchise Information Pack. Mmmm, Churros Olé!’s secret velvety chocolate sauce! Dip into our free, no-obligation Info Pack today. 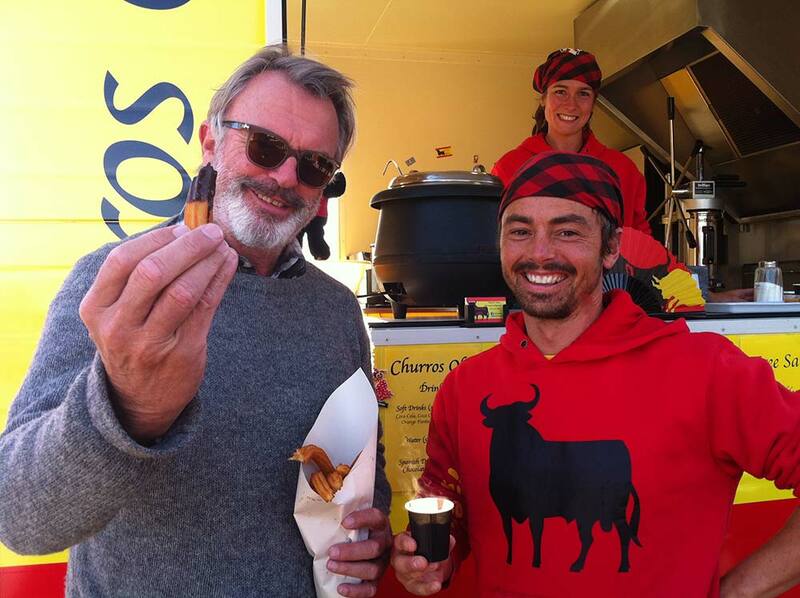 Want to know more about starting your own Churros Olé! franchise?